Unraveling - Lis Les Livres- Read Books! 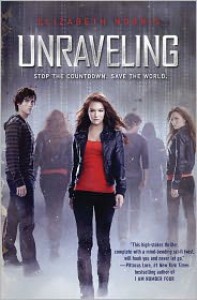 http://lisleslivres.blogspot.com/2012/12/review-unraveling-by-elizabeth-norris.htmlCharacters: Again, the one thing I do love about these dystopians is the strong lead females. GIRL POWER! 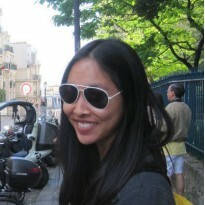 Janelle is intelligent and caring. Ben's quite elusive. Even after the end, I still don't know him. However, I really liked the relationship between Janelle and Ben. Their back story was super cute, and I don't know if this is a spoiler but THE PROPOSAL! That in conjunction with the line that mirrors that were by far my favorite lines from the entire book.Plot: I was so impressed by this plot! The details were connected and intertwined, much like my favorite show ever LOST. The only issue I had with it was the ending. I don't think it should have ended that way: Janelle and her brother should have joined Ben and went back to his world if her brother was the only reason for staying behind. I don't want to say that the ending totally set up for a sequel just to make money because I am definitely going to read it, but I guess me being one for a happy ending would have changed the depressing end.Writing: Elizabeth Norris definitely stayed true to the dialect of teenagers, making it realistic and relatable considering that the story is not likely to actually happen. However, perhaps that is just the way she talks; when i met her, I did not realize how old she was because of her manner in speaking.Additional: Unraveling was bought to possibly be made into film. Any cast ideas?FUN FACT: Elizabeth Norris attended the same high school I am currently attending.Would I recommend it to a friend? Yes. I'm super excited for Unbreakable. I even requested for an ARC.